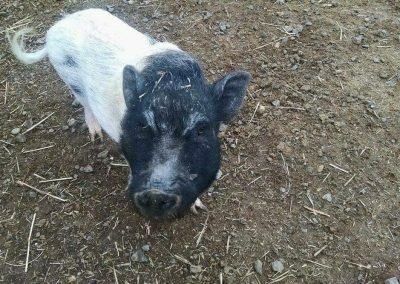 A story about feeding pigs and what your mini pig should look like from our first hand experience. 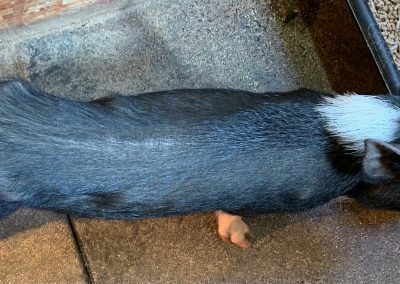 We see a lot of mini pigs at Sharps Mini Pigs and we find that underfeeding and malnourished pigs are becoming more and more common as people try to keep their pigs as “mini” as possible. 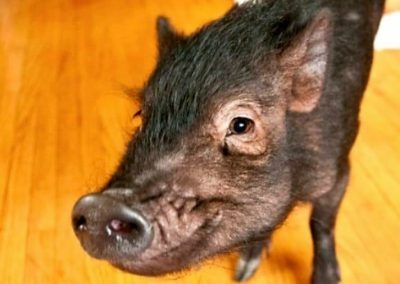 It is important to understand what your pig should look like and how to feed your mini pig before you enter into mini pig ownership. 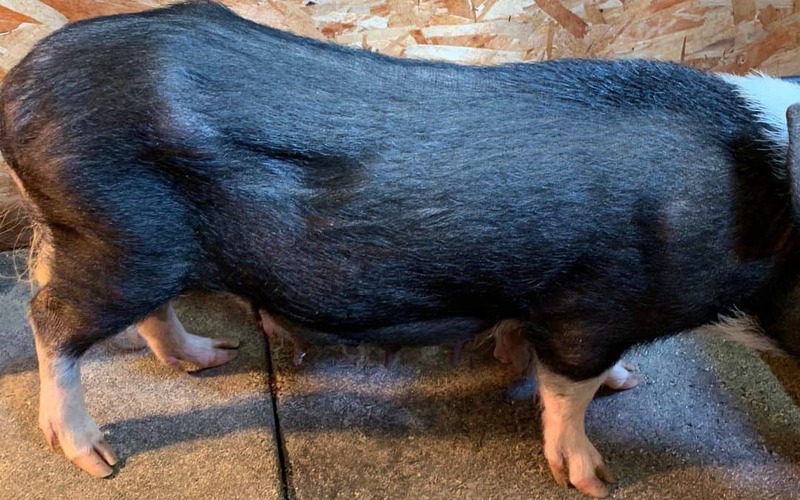 We hope this article helps you get the information you need to properly feed your pig. 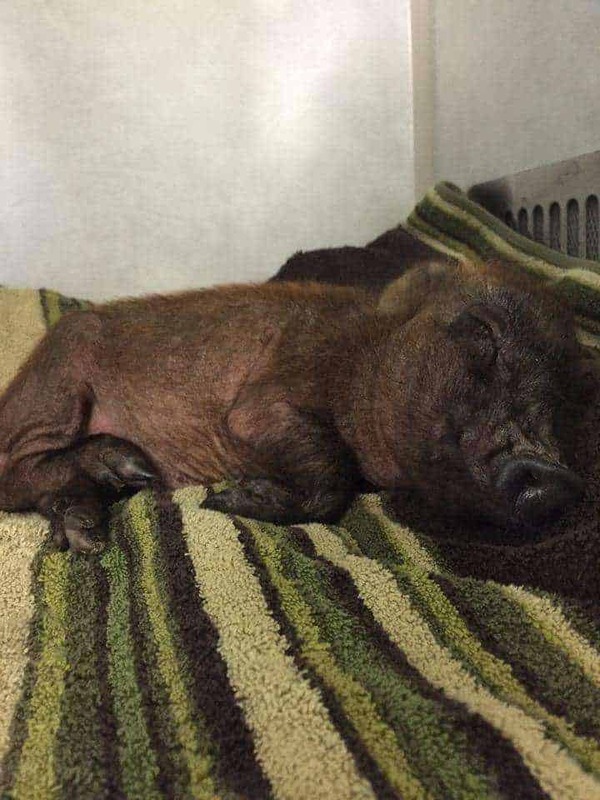 We recently took in a pig, when this pig arrived and we opened the kennel our hearts sank. 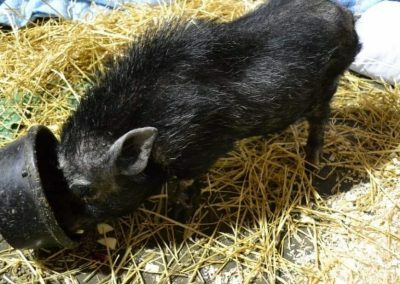 The pure neglect and abuse was so obvious not only by the physical condition of this pig, but in her sweet eyes. We cried, and every day it just breaks our heart as we try to get her healthy again. 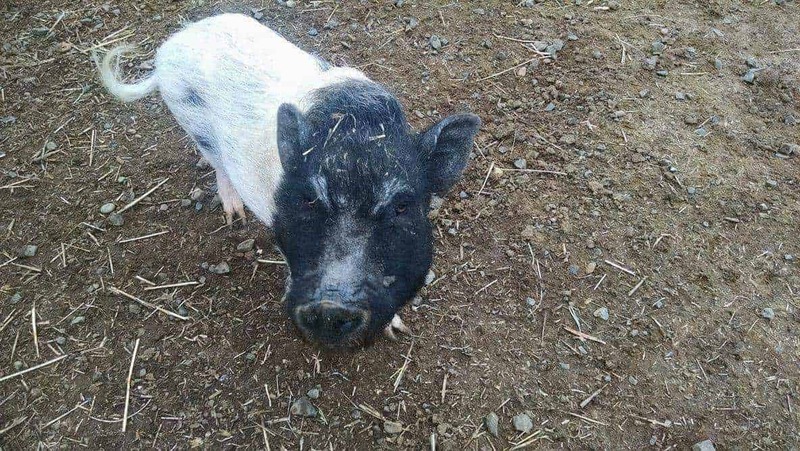 Please do not starve your pigs! What does this mean….. you can not under feed your pigs to keep them small. 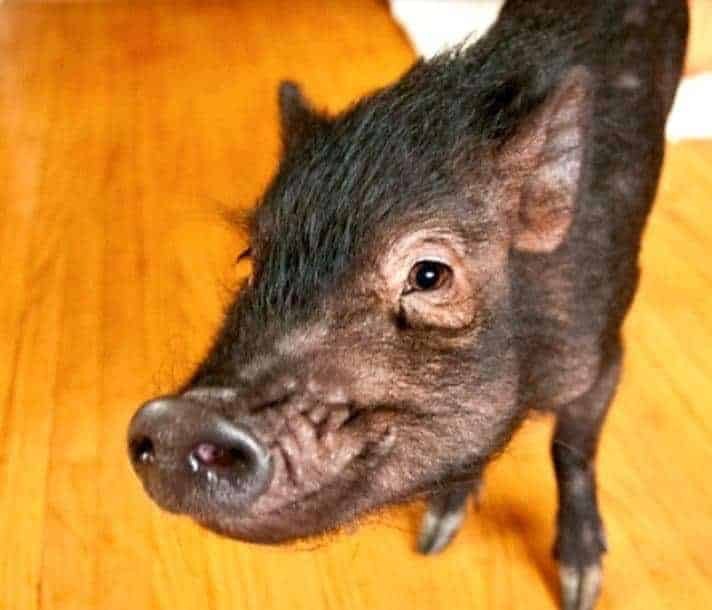 Miniature Pigs are just that, Miniature pigs, they do exist 100%. But a 20 pound adult pig is absolutely not a healthy pig. Body condition is 100% how you tell if your pig is healthy! It’s not by how much they weigh. 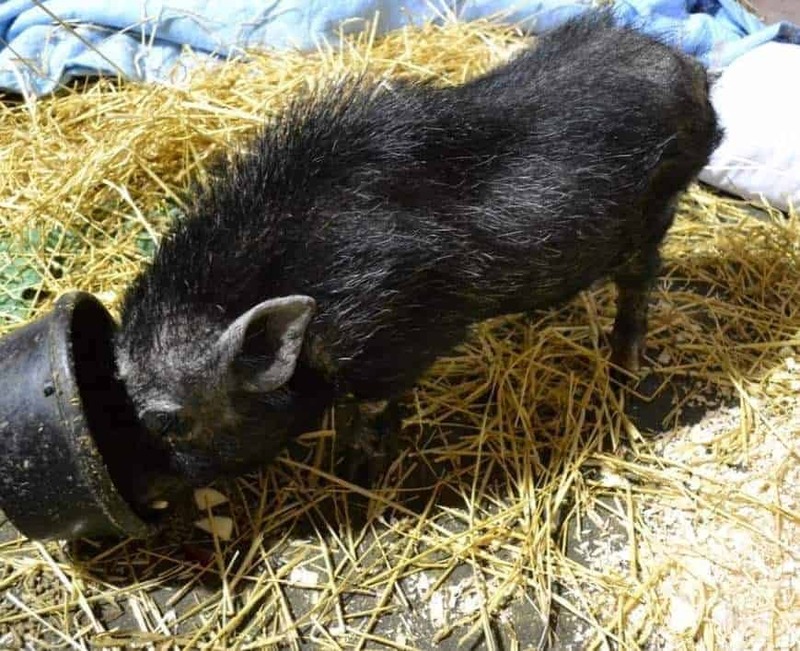 What is a underfed pig- this is serious. 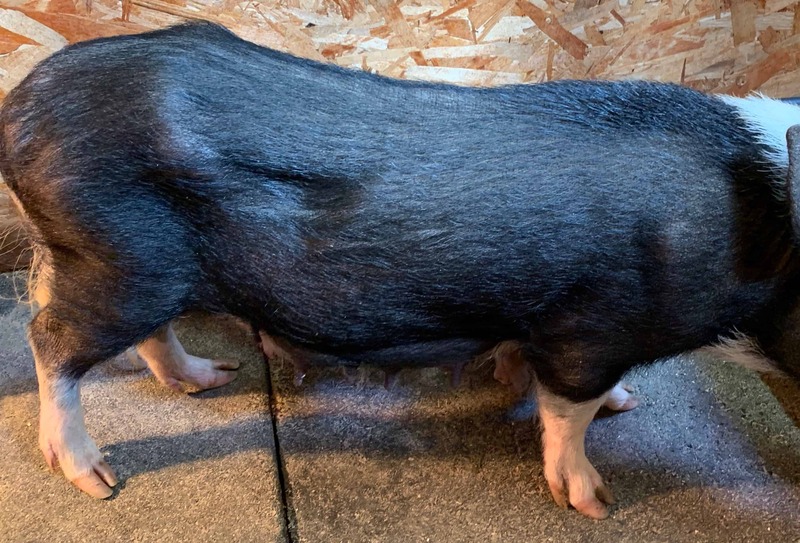 If you see these photos or description and realize your pig fits this category, please feel free to reach out to us and we can help you to get your loved pig healthy again without judgment. Realizing you need help with your pig is the 1st step! 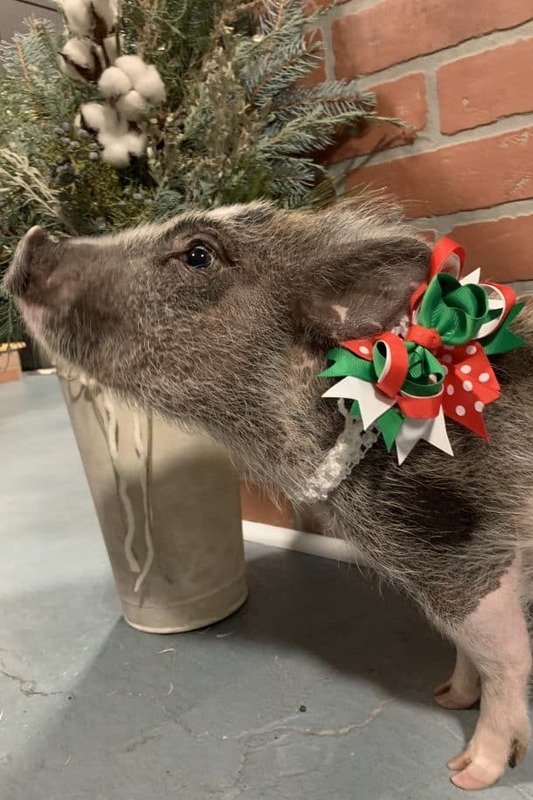 Signs that your pig Cheek bones stick out, sunken in face, skull shows, color pigment in nose is faded, spine protrudes, hip bones protrude, rump bones stick out, female genitalia protrudes, the eyes no longer sparkle. Here is a link to more resources on the AMPA website. We can not even begin to express how hard this is on a animal. Starving your pig is killing your pig! This has been in part due to people advertising teacup and micro pigs. Teacup and Micro Pigs DO NOT EXIST. 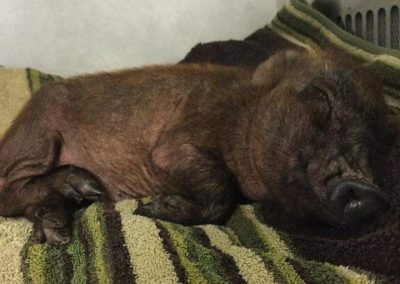 Miniature Pigs DO Exist and are absolutely wonderful animals.